A £2.25 per ticket booking fee applies to tickets booked online, and a £2.75 per ticket booking fee applies to tickets booked by phone. 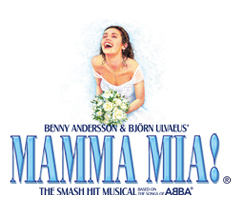 No booking fee on tickets purchased in person at the Novello Theatre Box Office. ALL PRICES INCLUDE £1.25 RESTORATION LEVY. For Group Bookings click here. For Early Bird Bookings click here. Book 4 months or more in advance and save £20 off selected tickets for Monday to Thursday performances (subject to availability). at the Novello Theatre Box Office. Sales can be made up to 30 minutes prior to a performance and a maximum of 9 tickets can be purchased per person. Monday to Friday Performances Only. Best available seats reduced to £38.50. Thursday matinees. Best available reduced to £30. † Calls cost 7p per minute, plus your phone company's access charge.